Near the Hotel, a few minutes on foot, there is the Center of the City, the Port, the Aquarium, Museums and Theaters, than with the 'alleys' offer the visitors a pleasant and evocative route. The hotel, recently renewed with familiar management, is inside a nineteenth-century palace, in perfect Genovese style. A wide columned stair leads to the first floor of the building, where the Argentina Hotel is ready to receive its guests and offer them comfortable rooms, suitable for families and young people. Some rooms have a view of a little garden. Important information from April2nd 2012 we will introduce the new tourist tax 'City Tax' of euro 1.50 for person for night excluding children under 13 years old . The new taxshould be paid cash for further information please contact the hotel reception. We have a lounge area with microwave, kettle, vending machine. We provide our guests with city maps in several languages for free. Great quiet place to stay. 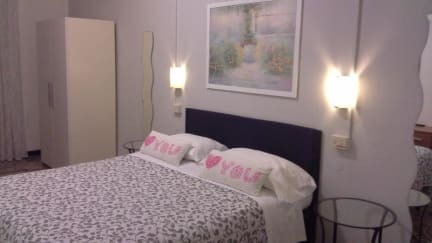 Nice if you are looking for a break from busy hostel, and a good price for you own room. Included breakfast of coffee/tea (make your own) and delicious homemade mini croissants (she gave me 4). Place was clean and quiet, in a good location near to the train station and the old town. A fantastic small hotel, the staff couldn't have been more helpful. Faultless! This was a great B&B! The owners are so helpful and nice it was a pleasure to stay there. The rooms were very clean and large. The building was a little hard to find (the street numbering was a little strange) but three different people on the street and in the building helped us when we looked lost. Would definitely stay there again. 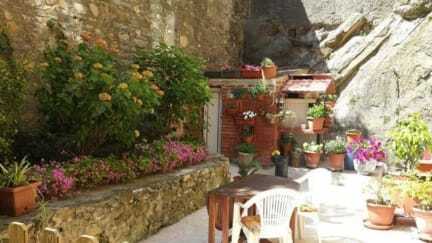 What a wonderful place to stay, the hostel is in a palazzo, just right for this city of palazzos. The rooms are delightfully decorated and the owners are wonderfully welcoming, they made y stay a delight. Great value for money, if I return to Genova I will certainly stay here. Wonderful stay! The couple that owned the place couldn't have been sweeter, and they were so friendly and helpful. Breakfast was included with coffee and croissants, and the rooms were well kept and cleanly. Bathrooms were nice as well. Would recommend anyone to stay here, a wonderful place with a good price. Would definitely come back! I loved to stay in Albergo Argentina. You feel like you are in your home. They are really very nice and friendly. I highly recommend them. The room was very very clean. The checkin and checkout was very easy. Awesome find. Lovely, helpful owner. I was keen for a break from dorms after a few months of travel and this tiny hotel with perfect self-sufficient rooms was ideal. Close to the man station (Brignole, which connects super easily to Principe for intercity trains) and on the edge of the old city where everything happens in Genoa. A short walk to everything. Would stay again for sure. Very nice place to stay. Location is very convenient, very close to train and subway station. The staff was very helpful and provides good information. Room was very nice, only bad thing is that bathroom is shared. This was a good place to stay for a night. It almost felt like we were staying at someone’s home. It’s a short walk into town.